A Serenade in New York | So Many Exciting and Beautiful Places! I’m traveling again. Today, my sisters, Jane and Mary Ellen, and I headed to NYC for an early celebration of Jane’s milestone birthday. 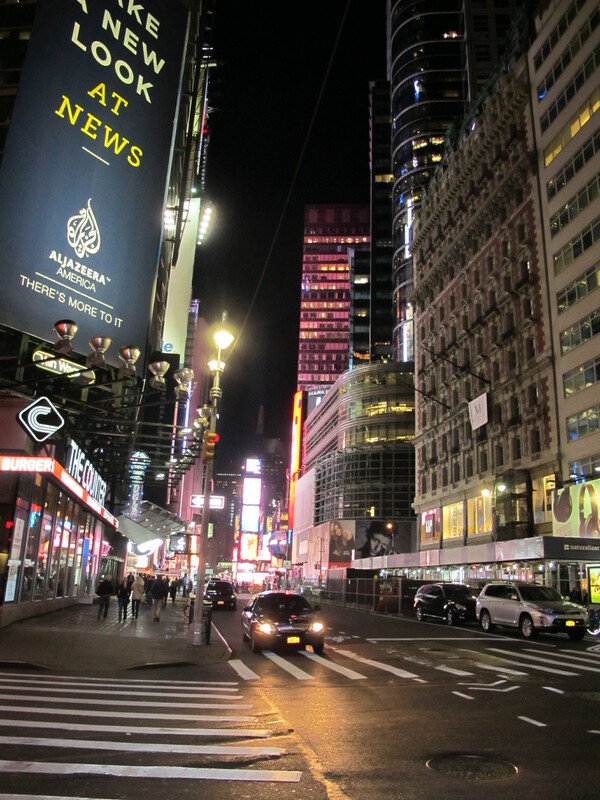 We left Minnesota a little after 10 am, and arrived at our hotel near Times Square around 3:00 this afternoon. After unpacking and planning our schedules, we headed out on the town. 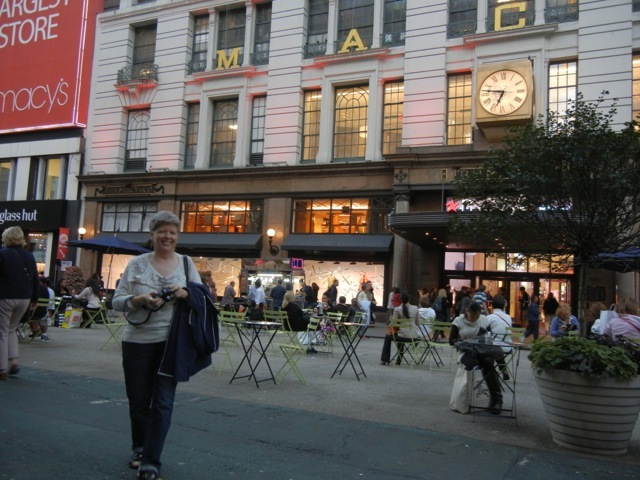 As any self-respecting women do, we started at Macy’s – the world’s largest department store, as they describe themselves. It is definitely large, comprising two buildings. 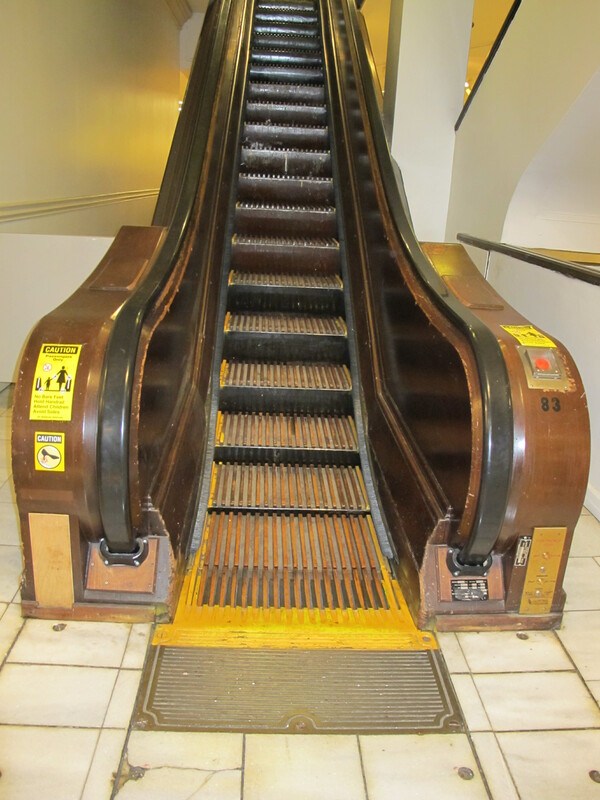 The older building, Herald Square, was built in 1902, and the was the first store to have a modern day escalator. It didn’t look too modern to us, but it works just fine, unless you’re wearing spike heels. Covering an entire city block, the store had ten and a half levels. I did not buy anything for myself today, but we still have a few more days here. 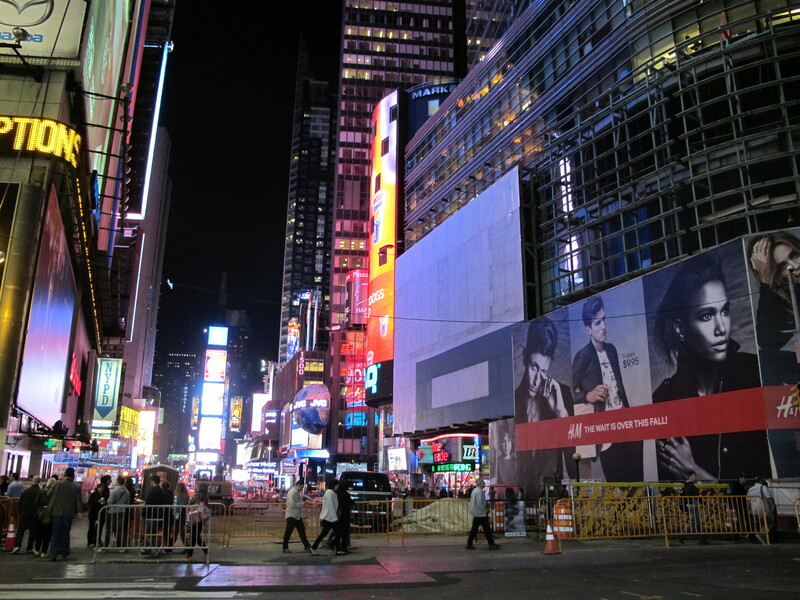 From there, we walked down Broadway, oohing and ahhing at the buildings and the lights. 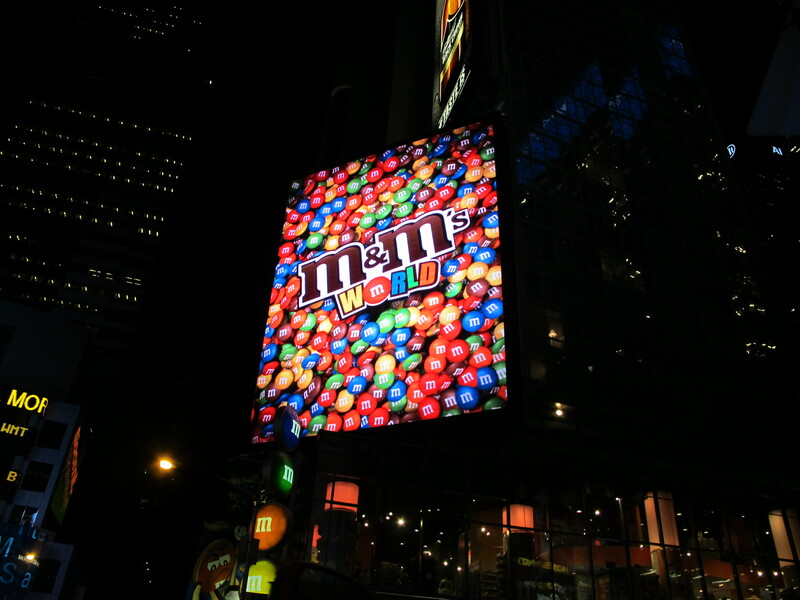 We stopped for a light meal, and then were almost at our hotel, when Mary Ellen spied a Hersheys sign, so we continued on to find both the M&Ms Store and the Hershey Store. Again, we behaved ourselves, just looked at all of the goodies. We did not, however, pass up a Ben and Jerry’s for dessert. We located the Majestic Theater, where we’ll be seeing Phantom tomorrow night. We passed by Sardi’s, and decided to make reservations for dinner there for tomorrow as well. As we were walking, we could hear a man singiing at the building next door. We peeked in and he started visiting with us, and he told us a little bit about the history of the area. 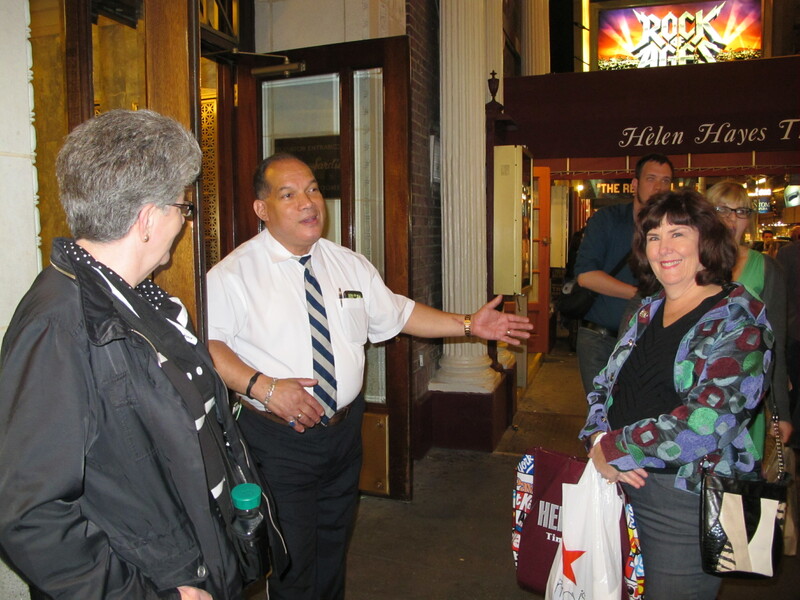 The Shubert Theater is across the street from Sardi’s, and many of the theater buildings are owned by the Shubert family. His name is Victor Palomo, and he is the “Senior Doorman” for this particular building, which is owned by the Shuberts. He then proceded to serenade us with a tune from Man of La Mancha (he had played the priest in the musical when he was in grade school). He sang “To Each His Dulcinea,” quite beautifully. What a treat! The weather is beautiful, btw. Modern escalator, 111 years ago! I can just imagine the fun you are having. I love to visit New York – we had many fun trips when Jeannie lived there – saw “Phantom” too. Be Good!